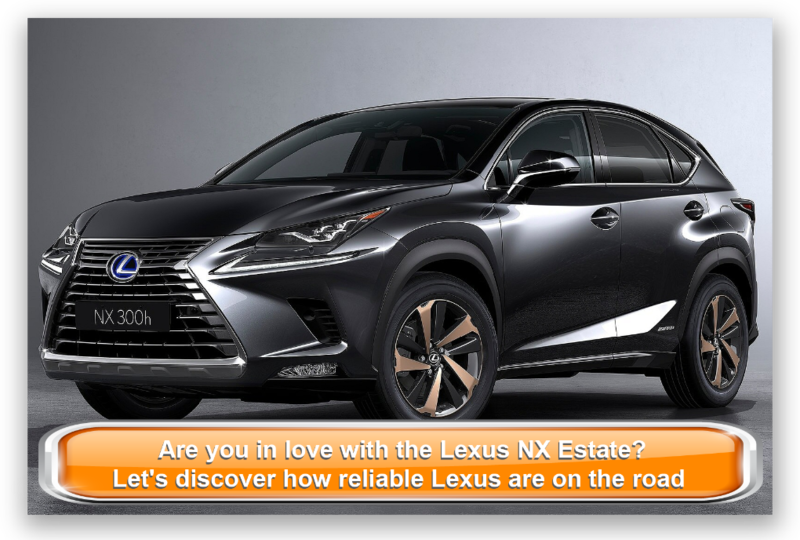 Bold, big, a bit brash and alternative, the Lexus NX Estate is for the independently-minded buyer that wants to do things differently. And in evidence of its positioning as the left-field choice, the NX has even ditched all diesels from its lineups. Yikes. Bold! But don’t we Brits love a diesel?! The NX has made up for it a tad with a frugal hybrid, a classy interior, and its striking looks. Sound compelling? OSV takes a closer look to see what it’s all about with our 2017 Lexus NX SUV review. How well the Lexus drives depends on your personal preference. If you’re looking for an SUV that you can thrust into corners like a wily compact hatchback, you may have to look elsewhere. If, however, you’re looking for a motorway cruiser, keep on reading. The suspension helps it on long stretches of road, but in the town, it feels a bit firmer. Moreover, there isn’t much feedback from the steering. Neither is the NX Estate as grippy or as composed as rivals, which won’t help your confidence if you dash into bends with too much haste. The entry-level model misses out on four-wheel-drive. But despite getting this system, the rest of the range feels way better on the road than they do off it. Indeed, its off-road ability is limited. The absence of hill-descent control doesn’t help, neither does the fact that the traction-control system can’t be manually configured. There is surprisingly no diesel engine in the range – surprising because all its rivals offer at least one (and we Brits love diesels). Instead, Lexus have added a hybrid engine that combines an electric motor with a 2.5-litre petrol engine to produce 195bhp. That’s a good amount of power for an SUV – but the hybrid model doesn’t use it very well. As such, it feels underwhelming. The hybrid is paired up with a CVT automatic transmission, a pairing that causes a lot of noise. It can also be a frustrating match-up. Because while the CVT proves a serene partner when you just want to cruise on electric power, it tosses and turns and moans and groans when you want to put your foot down. The other engine in the range is a Lexus NX 200t petrol model. It’s OSV’s top pick in terms of its drivability. It develops 235bhp, which again should be enough but isn’t, and is mated to a more traditional 6-speed automatic transmission. It’s a good cruiser that has just about enough power for hassle-free overtaking. The exterior is visually striking, and so is the interior. The design is funky and smart, the materials used are plush and expensive, and the seats are supportive. Lexus have attempted to mimic the exterior’s angular design at times inside – for example, you’ll notice similarities with the climate control panel. 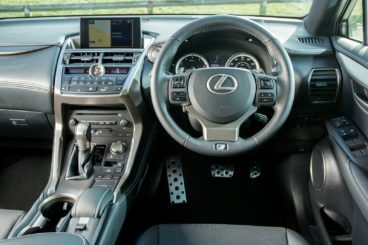 Overall, the cabin is luxurious and well-built, and Lexus have paid plenty of attention to detail. We like that the infotainment system is now controlled via touchpad, while the portable vanity mirror is a welcome addition. Wind and road noise is well kept-out, and the ride quality is good. The supportive seats definitely help with comfort. Opt for the NX F Sport model, though, and you’ll be saddled by a harsher ride. This suspension can be adjusted, but it finds it harder to absorb broken roads. Practicality isn’t an issue inside the Lexus, and the NX has a bigger boot than most rivals. Measuring 475-litres, it should be enough for most buyers. The rest of Europe actually get a bigger boot, but in the UK we’ve forfeited some space for a space-saver wheel. It’s actually a good deal. Interior space is decent. Upfront, you and your passenger will have plenty of room, while rear seated passengers will be okay. The raised seating height presents a problem with head room, but reduces travel sickness. On the other hand, the floor is pretty much totally flat, which means middle-seated passengers won’t have to deal with a transmission tunnel. Standard kit is good throughout the six trim levels. The entry level model gets a DAB radio, 17” alloys, twin-zone climate control, split-folding rear seats, and cruise control. The SE trim adds 18” alloys, four-wheel-drive, heated front seats, while the Sport trim adds a radiator grille. The Luxury model comes with leather seats, tinted rear windows, parking sensors, and keyless entry. The F Sport model looks more aggressive, gets sport suspension and seats, and an exterior styling pack. The Premier model tops things off with ventilated and heated leather seats, a 360-degree camera, and a Mack Levinson stereo. In terms of safety, the NX Estate was awarded all five stars when crash-tested by Euro NCAP. It scored especially high for both child and adult occupant protection. Standard safety kit includes surround-view cameras, blind-spot warning, lane-departure warning, and eight airbag’s. However, if you want it to be as safe as possible, you’ll need to go for the range-topping Premier model. Prices for the new car start out from £31,145 and rise to £44,395. For more information on our leasing deals, check out our page here. In terms of its running costs, the hybrid model stands out in the absence of a diesel option. It can return 56.5mpg, and emits just 116g/km of CO2. However, to achieve that kind of economy you’d have to drive very conservatively all the time. We reckon in the real world, returns will hover around the 40mpg region. The petrol engine, meanwhile, is good for 35.8mpg – according to Lexus, at least. Again, in the real world, it’s unlikely that you’ll get near those numbers. Yearly road tax, meanwhile, is £140. If nothing else, it will certainly catch your eye in the showroom. However, its bold looks won’t be to everyone’s taste. It’s upmarket interior is a real selling point, and makes those longer journeys seem much more pleasant than usual. Lexus must be in a good mood, as they’ve been lavishing all their models with the kind of standard kit that’s usually optional. Here you’ll get the likes of a USB music connection, a DAB radio, twin-zone climate change, and parking aids. It can drive as capably as the Toyota’s in this review. But if you want to be entertained, you’ll need to look elsewhere. We Brits love a diesel. Without one in its range, the Lexus NX could struggle to sell. 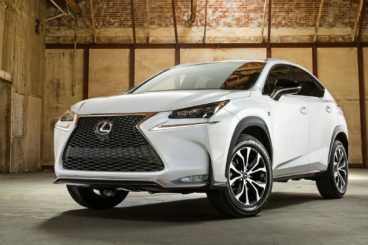 Let’s see how the car fares against its rivals in the comparison section of our Lexus NX SUV review. The new Toyota RAV4 Hybrid might not be a glamour name like the Lexus. But it’s practical, comes with an extended warranty, and it’s affordable to run. 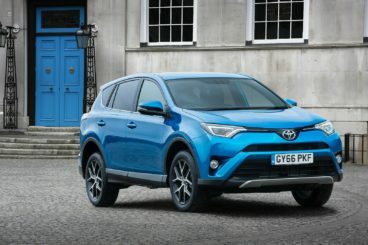 Not quite as sporty as the Lexus, the RAV4 has been designed to be more of a comfy cruiser that saves money at the pumps. It comes with a “Sport” mode, but even this won’t satisfy keener drivers. The steering is a bit vague, and there are just three engines to choose from. The sole petrol model is the slowest of them all, taking a bumbling 10.7 seconds to complete the 0-62 dash. It lacks urgency, something not helped by the clunky CVT automatic transmission. A 2.0-litre diesel is your only diesel choice. It produces 141bhp, which is enough to get it from a standstill to 62mph in a respectable 9.6 seconds. However, the RAV4 Hybrid model is the standout choice. It’s the only model that’s available with either front or four-wheel-drive, it does 0-62 in 8.4 seconds, and it’s affordable to run. However, the extra weight of the batteries means that it’s also got the poorest handling. Swings and roundabouts and all that. Still, its economy is worth mentioning: It can return 57.6mpg if you pair it up with smaller wheels. The diesel engine returns over a 60mpg economy, while the petrol averages 43.5mpg. Inside, the first thing that will grab rear seated passengers are the reclining back seats. Coupled with bags of headroom, they make longer journeys seem worthwhile. The RAV4 can also boast soft suspension, and as such makes perfect sense for buyers who are planning lots of trips. Exterior noises – especially from the hybrid and diesel engines – are intrusive, though. The overall design of the cabin is bland, despite everything being well put together. It’s a cabin made for the road, and it should be able to cope with everyday family life. The boot measures 547-litres in standard guise, but just 501 in the hybrid model. The more expensive trims get a power-operated boot, but all models come with rear seats that fold totally flat. 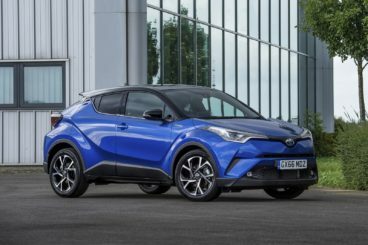 The new Toyota CH-R competes with the Lexus for showroom appreciation with its distinctive looks. It also boasts a quality interior, and efficient engines. Considering it’s such a large car, it’s surprising how well the CH-R drives. Its drivability is helped by the fact that Toyota developed it with UK buyers in mind, which means they tweaked the suspension setup to cope with our broken and battered roads. It’s a comfortable cruiser, but it handles sharply, too. This is down to its new platform, as well as adaptive dampers that reduce body roll. Most buyers are expected to snap up the hybrid model. It combines an electric motor with a 1.8-litre petrol engine, and should appeal to anyone who plans to largely take short trips. It’s not the fastest model in the world, but it is practically silent when running on just electric power. Moreover, its CVT automatic transmission is compliant, and helps you to make good progress. Overall, though, it’s not a model that will appeal to keener drivers. It’s cheap to run, and can return 74.3mpg, while emitting 86g/km of CO2. This makes it one of the most frugal models in this sector. It also means that company car drivers get a 17% BiK liability. How frugal it depends on the wheels you choose, with the smaller 17” alloys keeping costs down more than the bigger 18” ones. Inside, Toyota has excelled themselves. The CH-R is easily their best cabin for a long time, and goes some way to shaking off their somewhat dowdy reputation. Comfort is assured thanks to a soft suspension setup, while external noises are well suppressed by good insulation. The dashboard is imaginative – for a Toyota, at least – with Toyota going for a funkier look than usual. It’s a lively cabin, with soft-touch plastics and gloss finishes impressing. Overall, it’s just as upmarket as the Lexus. Not bad for a brand usually dismissed as being too frumpy, huh? Toyota hasn’t sacrificed any practicality either. In fact, the interior is more versatile and useful than we expected. Legroom is excellent up front, and the driver’s seat comes with plenty of adjustabilities. The huge windscreen and low dashboard help with visibility, while even the sloping roofline doesn’t diminish rear-seated passengers’ headroom too much. The rear doors open wide to make access easy, while the boot measures 377-litres. It boasts a wide-opening tailgate, as well as a nicely-shaped loading bay. If you fancy something different this time, the new Lexus NX Estate is a good place to look. It’s handsome, lavishly designed inside, and catches your eye in the showroom. It also comes with a frugal hybrid option for anyone who wants to keep running costs down. Add to that a long list of standard kit, and it’s easy to see why Lexus as a brand are on the up and up. The Lexus NX Estate is for families who dare to be a bit different.